Made from thick yarns of wool and cotton. It keeps the wearer warm in winter and cool in summer. 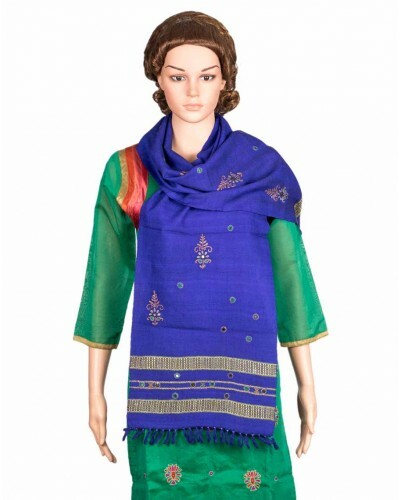 It is of wide range of bright colors and distinct traditional motifs. Size of the product: 12" (L) x 68" (H).